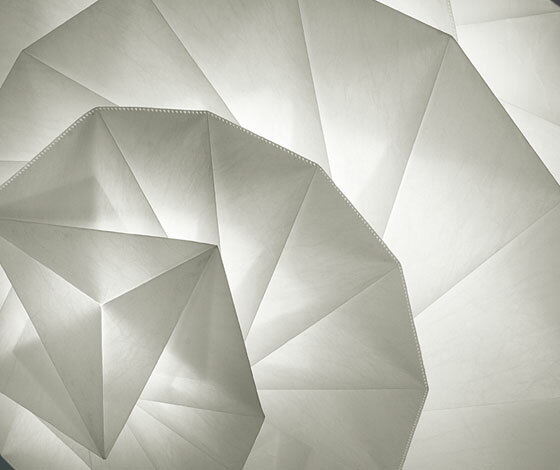 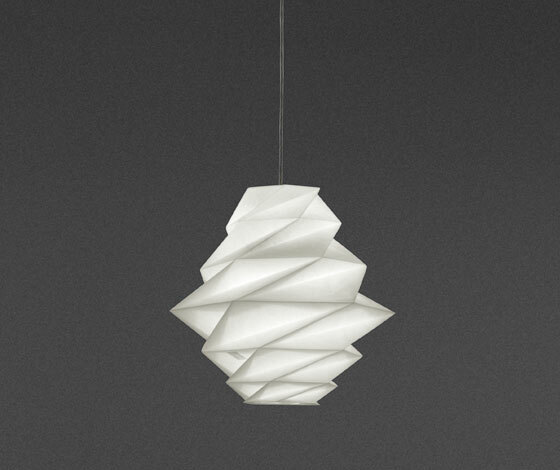 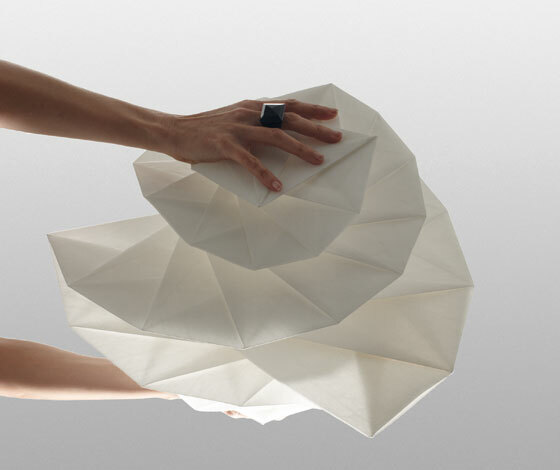 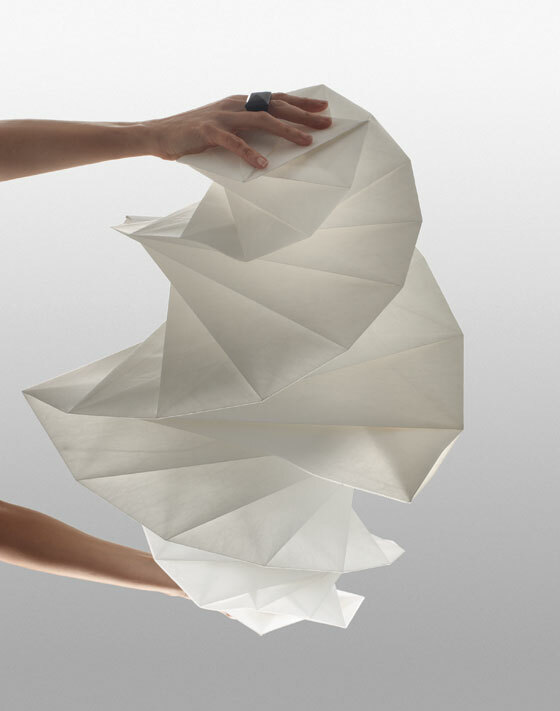 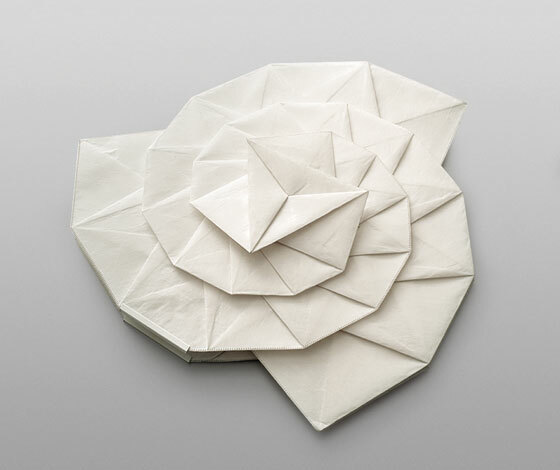 The acclaimed Japanese fashion designer and recent Design Museum’s Design of the Year 2012 awards winner Issey Miyake has applied his trademark, ingenious 132 5 pleating technique to this new series of delicate textile lamps manufactured by the Italian brand Artemide. 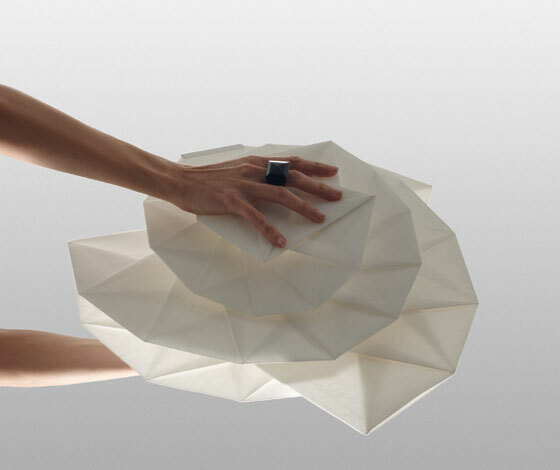 Called ‘IN-EI’ – Japanese for ‘shadow, shadiness, nuance’ – the collection comprises floor, table and pendant lamp designs, all of which were created using 2 or 3D mathematic principals (just like the 2010 132 5 clothing collection). 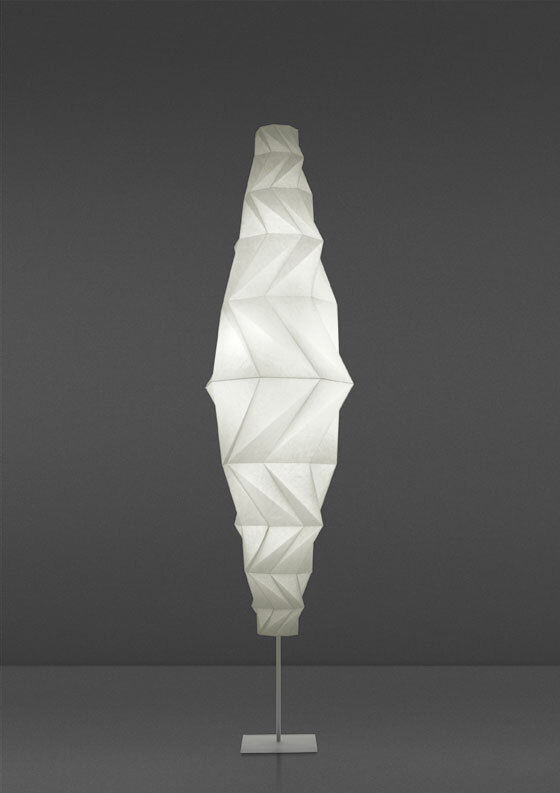 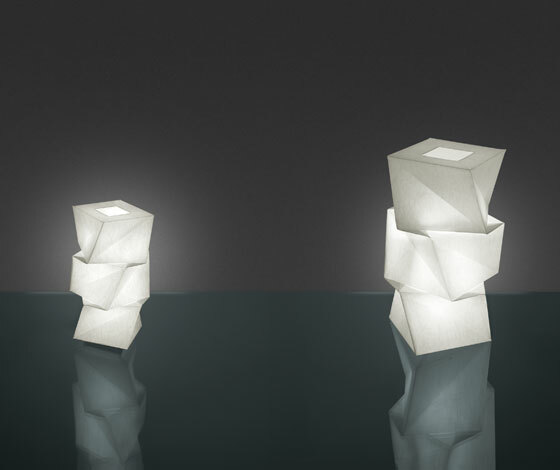 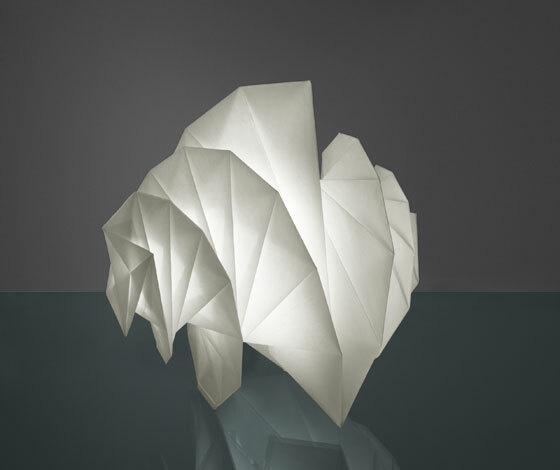 Made of reclaimed PET bottle fibre, the lamps can be folded flat and become 3D shapes, starting from a single piece of cloth.